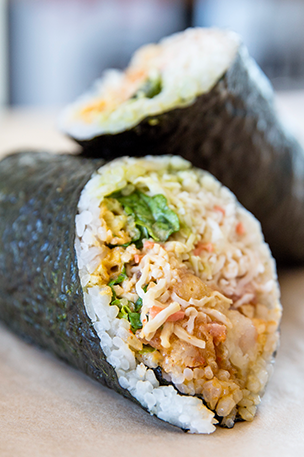 Las Vegas’s first sushi burrito restaurant, Jaburritos handcrafts fresh, delicious burrito-style sushi in an environmentally responsible manner. We support sustainable food sources, eco-friendly packaging, equipment and furniture whenever possible and donate a portion of all proceeds to keeping our oceans safe, healthy and clean. Click for directions to the nearest Jaburritos or visit ChowNow.com to order online.